Culture Lab Detroit founder Jane Schulak. Photo by Lisa Spindler. 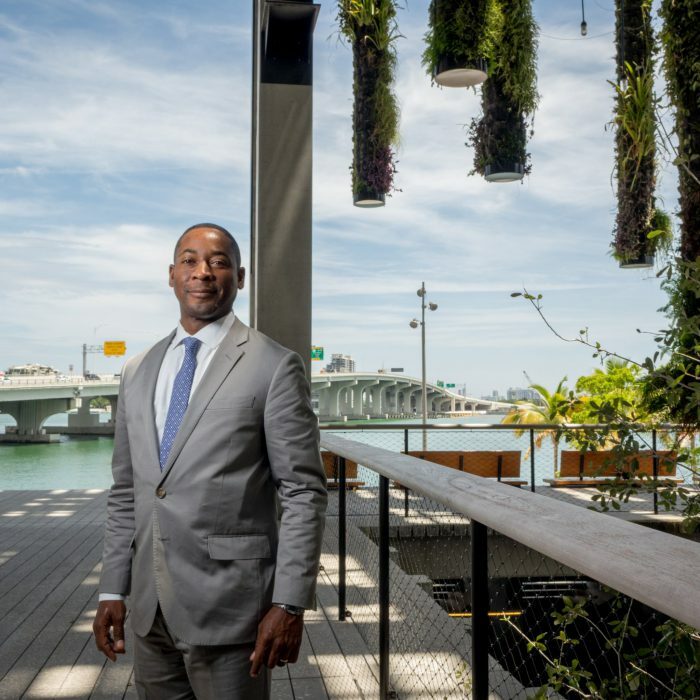 PAMM Director Franklin Sirmans at Pérez Art Museum Miami. Photo by Angel Valentin. Eva Franch i Gilabert, executive director and chief curator of Storefront for Art and Architecture, will also be present at the series as a participant in the “Stones Thrown: Art and Social Progress” program. “Storefront’s mission throughout the years has consistently been to exhibit, produce and connect alternative ideas that challenge the status quo,” she says. “Through our program of exhibitions, events, competitions and publications, we see our role as instigator within the cultural sphere very aligned with the stone thrower, but one that is loaded with very specific vectors of desire. “There are two ways of waging wars: One is by throwing stones and one is by putting them next to each other. As an architect building cultural edifices, I am interested in both,” Franch i Gilabert continues. She says her remarks will focus on the production of social and collective forms that are not just perpetuations of existing forms of power. “To produce new forms that allow for human and environmental sustainability, that achieve higher levels of freedom and equality, and that empower those not seated at the decision-making table, might take more than just an aesthetic or a rhetoric; it might take a Trojan Horse strategy,” she adds. Executive Director and Chief Curator of Storefront for Art and Architecture Eva Franch i Gilabert.